How Concerned Should You Be About ‘Advanced Maternal Age,’ Really? As soon as Prince Harry and Meghan Markle announced their engagement, the questions were immediate: What does the ring look like? When will they tie the knot? Is she too old to have kids? Wait, what? Yup, apparently there is some concern that Markle’s 36-year-old uterus may not be up for bearing royal babies. But how concerned should we be about “advanced maternal age” anyway? It’s worth pointing out that I had been 35 for a day. During all of my other doctor’s appointments when I was 34 — including one just two days before the call — everything was great. But suddenly at 35, I was considered a high-risk pregnancy. Turning another year older had shifted me into what’s known as “advanced maternal age,” a term doctors use to describe pregnant women who are 35 or older. I later found out that it’s recommended that women who hit advanced maternal age get additional screenings and testing done than younger moms… even those who are a day under 35. So I had to go my doctor’s office for weekly ultrasounds from then until I gave birth. Sure, it was fun to see my baby progressing, but it was also kind of a pain to take time off from work each week for testing and doctor’s office visits that really didn’t seem necessary. I’m not the only woman who has been through this, and I definitely won’t be the last. First birth rates for women in the U.S. who are 35 to 39 years old have dramatically increased since the 1970s according to data from the Centers for Disease Control and Prevention, and they continue to go up. That increase is even higher for women who fall into the 40 to 44 group — their first birth rates have jumped up fourfold from the mid-’80s to 2012. It makes sense: Women are putting off having babies in order to focus on their careers, build a stable lifestyle and find the right partner first. But know this: You shouldn’t freak out over the idea of having babies past your 35th birthday. “Many women are having children at age 35 and over, and a pregnancy in your mid- to late-30s shouldn’t be a cause for panic,” says Dr. Jennifer Haythe, assistant professor of medicine at Columbia University Medical Center. It’s not like your fertility falls of a cliff at 35 while your risk of having a baby with birth defects skyrockets. That magic number is based on data that found that 35 was the age when a woman’s risk of having a baby with Down syndrome — 1 in 200 — was equal to her risk of having a miscarriage from amniocentesis, a diagnostic test that takes fluid from the amniotic sac that surrounds and protects the baby to test for chromosomal abnormalities including Down syndrome. It’s no secret that fertility declines as you age, but again, it doesn’t magically torpedo once you hit 35. “This decline is directly linked to increasing age in women, and as a result, fertility gradually declines as we get older,” says women’s health expert Dr. Jennifer Wider. 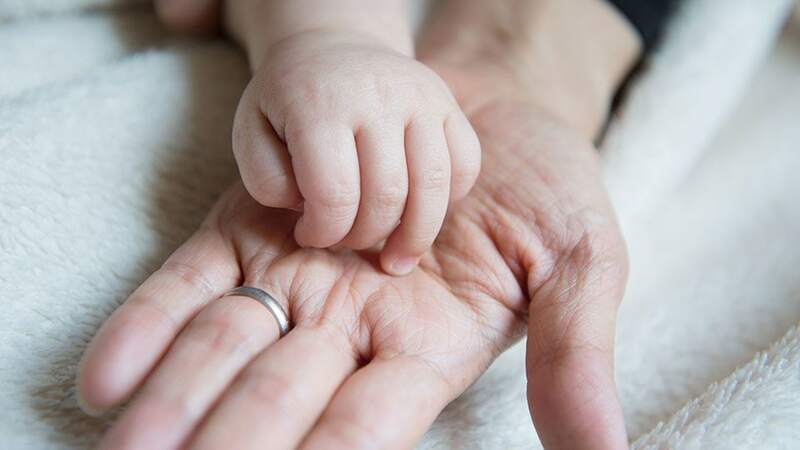 All women who fall into the “advanced maternal age” group don’t have the same risk of birth defects, either, she says — the risk slowly goes up as you get older. So a woman who is 40 has a greater risk of having a child with a birth defect than one who is 35. The same is true for miscarriages, Ghodsi says. If you’re planning to have a child later in life, don’t stress out and assume that your pregnancy and future child is in trouble. While the risk of miscarriage and birth defects does increase with age, every woman and every pregnancy is different. And to maximize your fertility in your 30s, Haythe recommends eating a healthy diet, exercising, avoiding smoking and taking prenatal vitamins. Just don’t let the “advanced maternal age” label scare you. Yes, it’s kind of insulting and can make you feel older than you are, but ultimately, it means you’ll have more screening and ultrasounds covered by your insurance. My husband and I are mulling over the idea of having another baby, and I’m already a little wary of the possibility of being treated like a geriatric patient for nine months. Still, if a healthy baby is the end result, it will be worth it.